Lubricate the valve stem and the valve guide with clean engine oil. Ensure all valve train components will be installed in their original position. 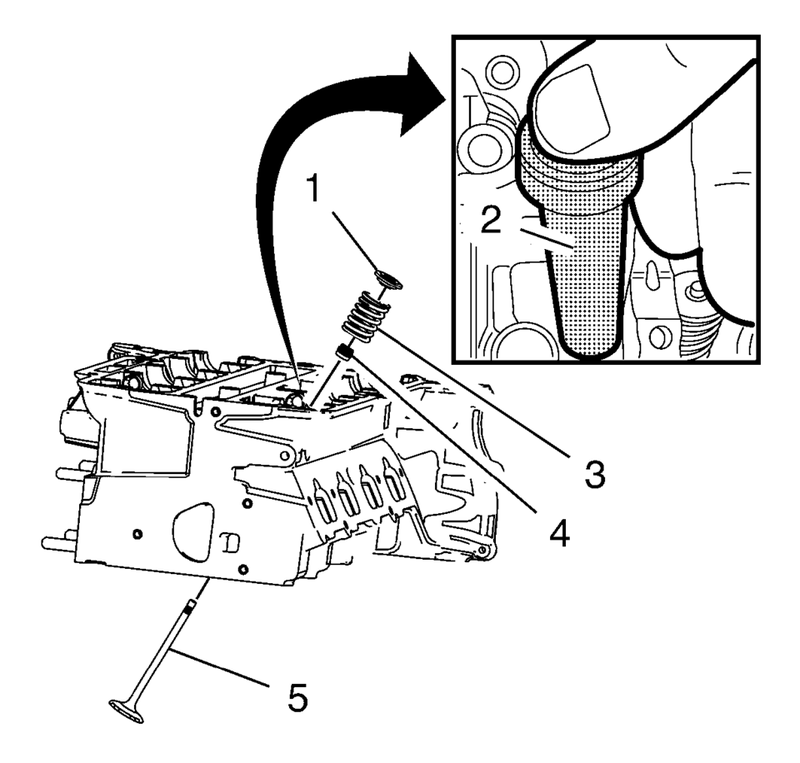 Install the NEW valve stem oil seal (4), using the EN-958 installer (2). 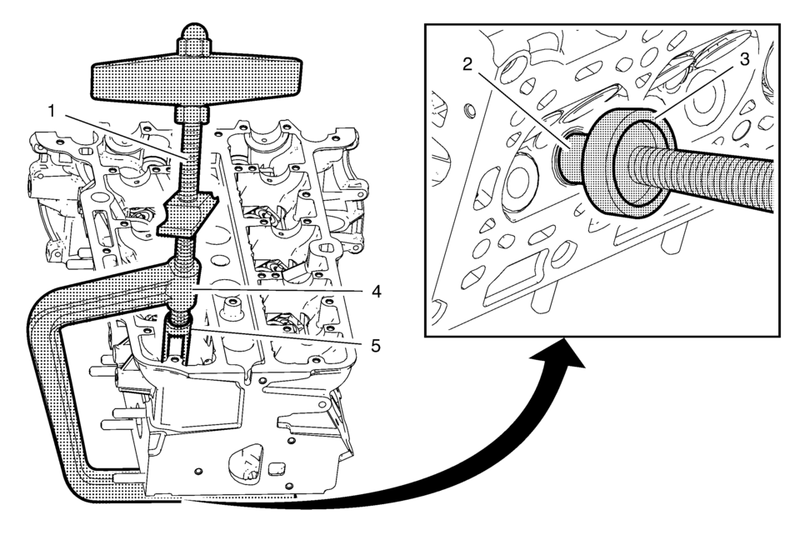 Loosely install the valve spring (3) and the valve spring retainer (1). Install the EN-8062?E adapter (3) to the EN-8062 compressor . 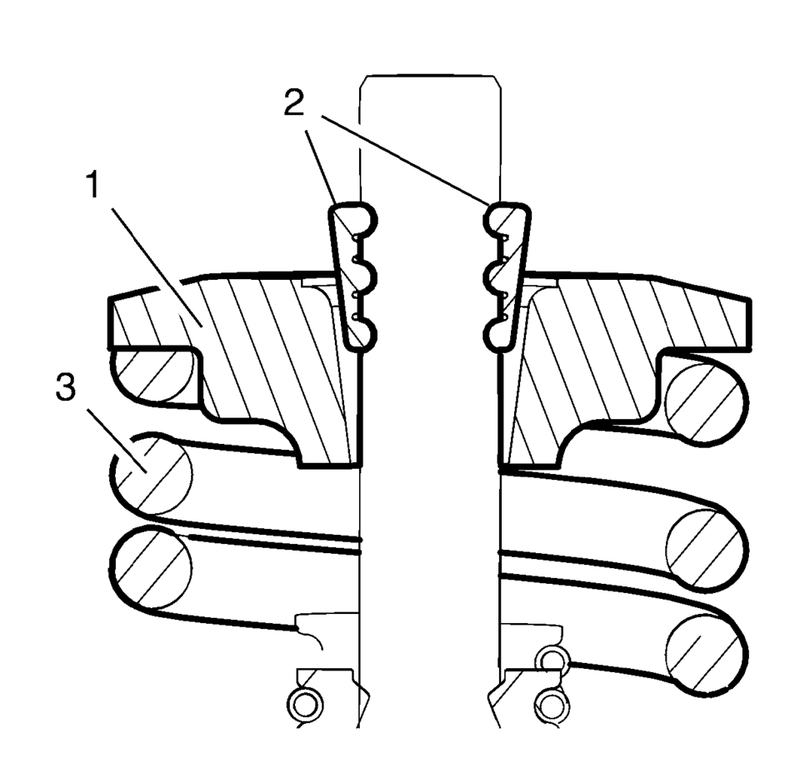 Apply pressure to the EN-50717?E assembly to push down the vale spring retainer (1) and compress the valve spring (3) until the valve keys (2) can be inserted. Carefully insert the valve keys then, so that they are proper installed to the valve stem grooves. Carefully release the tension from the EN-50717?E assembly . Inspect the valve keys and valve spring retainers for proper seat.